I knew I had something special when I first saw the look in Hutch’s eyes. It was he who decided whether or not I would be OK to take him home from the shelter. 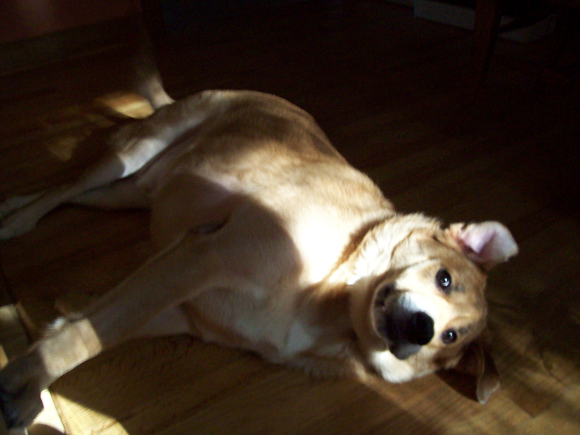 A few weeks after he settled in at the house, we watched a movie together: Marley. Now, after four years, I am certain that our “Marley” carefully made mental notes of everything related to the movie dog actor’s thought processes and life philosophy. A few weeks ago, our “Marley” developed a strange habit. Hutch knows that he is late to get what he wants if I am absorbed by the computer or internet (that happens). The new behavior, recently developed, is like this: Hutch comes round to the desk, and nudges me, as if to say “I need water,” or “I need to go outside,” etc. In response, I may go and retrieve my shoes, put them on, grab a leash and head towards the door. 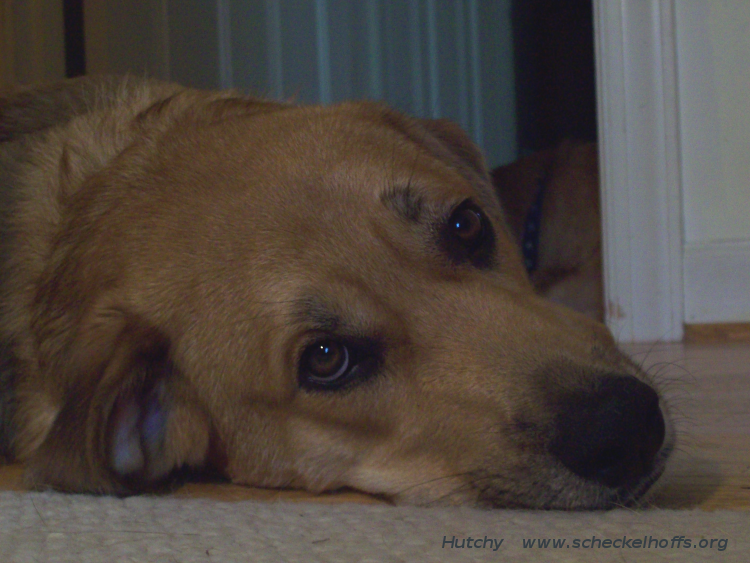 At this point in the new routine, Hutch (Marley) goes to his corner and lies down. How funny! Seems he got his point across! I like you because you understand dog language, anyone that does has a brain. I like brainy people who think. You are both and ta-da, you know right from wrong and have the guts to stand up and say so. I will read everything you write with a discerning eye but and appreciative mind.